Cognac is situated in the Charente department of western France between Angouleme and Saintes. The name of Cognac is known the world over because of the brandy produced in the region, and the chance to visit the Cognac distilleries certainly attracts many visitors, but the town itself is also very interesting to explore with an attractive riverside and historical centre to discover. 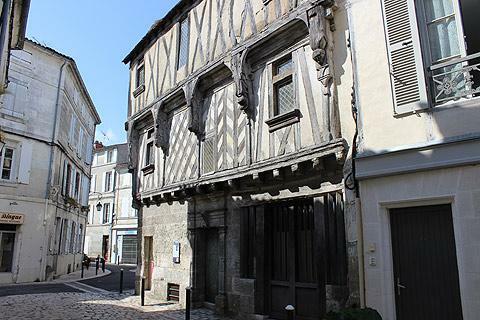 the old town which is much quieter and includes the castle and other historic monuments, most of the famous distilleries, and the Charente river. 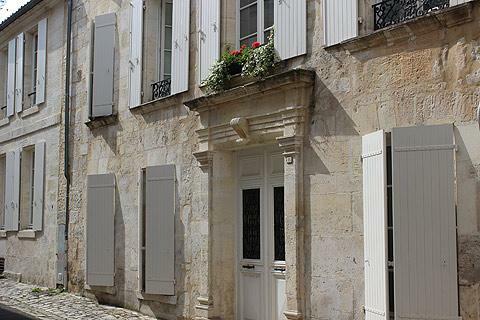 The buildings in Cognac are mostly constructed from the local white stone that is found throughout the Poitou-Charentes region and makes the local architecture so distinctive and attractive. Cognac 'old town', the medieval part of the town, is a region of narrow cobbled streets, hemmed in by attractive houses from the 15th to 18th centuries, and a multitude of brandy maturing warehouses along the riverside. A few of the older houses are half-timbered, while most are in the local white stone. Your visit will focus around the Chateau and river a little south of the 'old gateway', and in to the old town around Rue Grande, Rue Saulnier and Rue Magdeleine. The tourist office have prepared a guided tour of the old town to be followed that includes most of the highlights and passes information panels that have a great deal of useful information (in both English and French) and clear maps for where to go next. 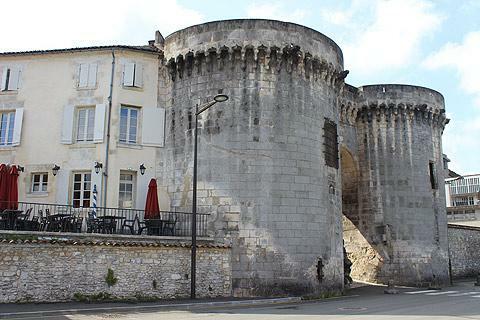 The trail starts to the north of the Charente river, opposite the Porte Saint-Jaques - the medieval gateway with two large round towers that originally controlled access to the old town. We were surprised to learn that the town owes its original wealth and success to King Francois I who granted Cognac a licence to trade in salt, rather than to the drink for which it is now famous! The salamander that you can see carved on several of the houses is the symbol of King Francois I. Having admired the view across the river cross the bridge to reach the the Château des Valois (often now referred to as Cognac Chateau) and the Porte of Saint-Jacques. While the part of the castle facing the river is perhaps rather plain, the other side features a medieval tower and is rather more interesting. 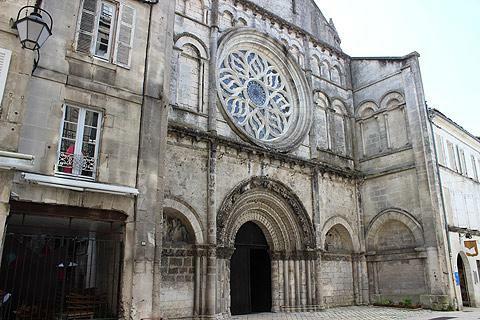 You will also see many grand town houses and the Museum of Arts in Cognac before returning to the river and an attractive promenade along the Charente in front of the world famous distilleries. Many of the distilleries here are open to the public and include tastings and of course the chance to buy some Cognac to take away with you. 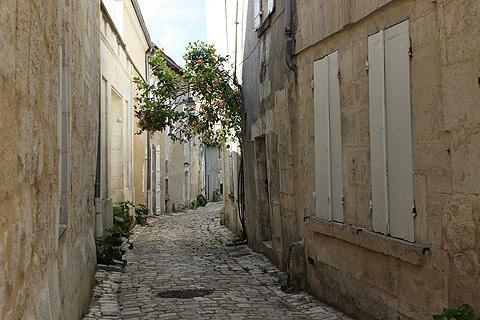 Be sure to also see Cognac old town in photos. 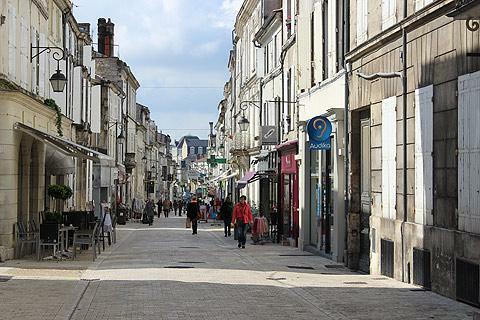 The part of Cognac to the east of here is more recent, and is a typical French town with numerous cafes, shops and other commerces and a lively atmosphere. You can also explore the public gardens that occupy an extensive area (several hectares) in the centre of Cognac and have extensive plantings, a rose garden, water features, trees and flower borders, and a garden plan that follows the 'English style'. The gardens also contain several interesting buildings, among them the Town Hall, the grand 19th century building with a large staircase in front and a substantial campanile, and the Museum of Art and History. There are also several small buildings of interest in the park in a mix of styles, such as the little 'gothic tower' in the middle of a pond, a neoclassical orangery and a victorian style bandstand. 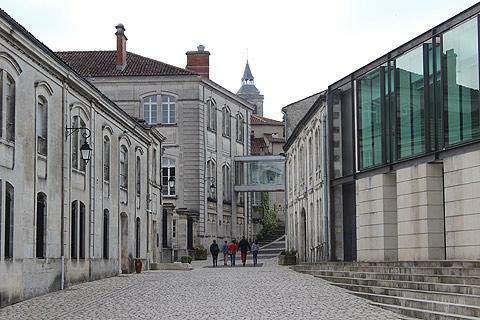 A second marked trail explores this region of Cognac and includes the Place Francois I, where the route starts, then the Place d'Armes, the Public Gardens and the Museum of Art and History. The Museum of Art and History, in an attractive 19th century building in the public gardens, has sections dedicated to archaeological finds in the region, ceramics and paintings. the highlight is the remains of an early 'dug-out canoe' from the neolithic era. 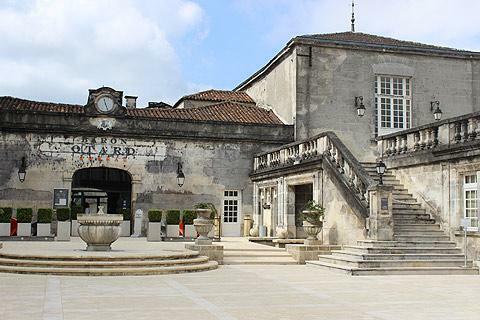 The Museum of the Arts of Cognac will teach you everything you ever wanted to know about making and marketing the famous local version of brandy. Cognac enthiusiasts will also want to visit the Saint Gobain glassworks, which you can visit to see where the bottles are made to contain all that Cognac. 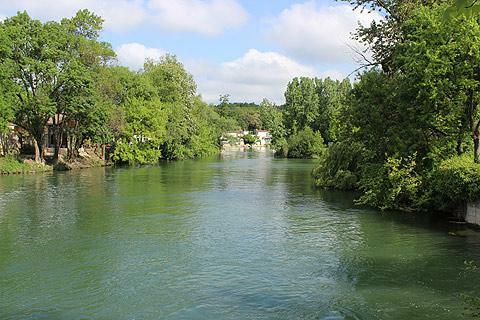 A third area of Cognac to explore if you have time is the extensive Parc Francois 1er to the north of the town centre and surrounded by a meander in the Charente river. There are lots of walks and trails through the forested park, with the path along the riverside the most popular. 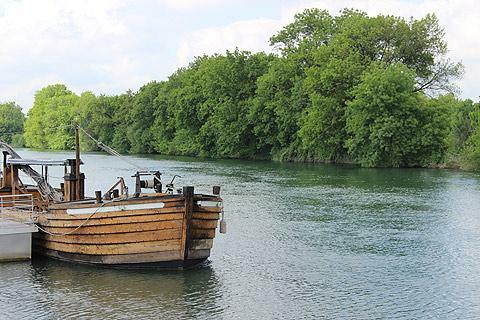 You can also hire a canoe for a trip along the river or take an organised boat trip along the Charente in a traditional boat known as a gabarre. Quite different in character to Cognac, we also enjoyed exploring Saintes to the west of here.